This is the final installment of our three-part series on Deal Island, Maryland. Read the first and second installments. 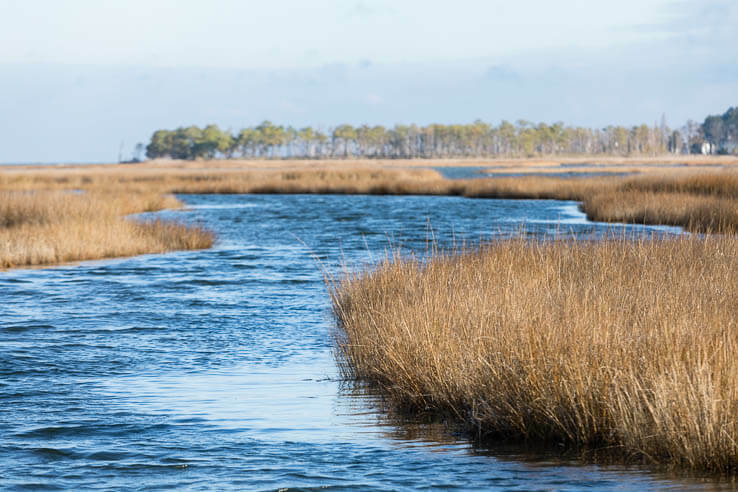 Between the eastern and western shores of the Chesapeake Bay, floating across the state divide of Maryland and Virginia, are the waters of Tangier Sound. Smith and Tangier islands—home to iconic cake and colonial shore accents—border the sound to the west. A speck of an island called Watts, its history hauntingly similar to the now-submerged Holland, constitutes the southern measure. To the north is Deal Island, the home of the skipjack. The shallow waters of the sound helped craft the classic oyster boat and build the unique watermen life of Deal Island. Before the sun rises each day it fills with working watermen, but the waters aren’t nearly as crowded as they used to be. Oysters seemed ever-present during the boom of the late 1800s, and the Chesapeake Bay became like a California gold rush on the water. Oysters were harvested in massive numbers, and their numerous shells were used for everything from decorations to driveways. Overfishing and disease slashed the oyster population, and the numbers began to steeply drop over the following decades. Meanwhile, the land surrounding the Bay was filling with people, and now more than 18 million residents call the Bay’s 64,000-square-mile watershed home. The Bay has struggled for decades, trying to sustain both the environment and a seafood industry despite failing health. In an effort to save oysters for the future, today’s waterman has to walk the line between scraping enough together to make a living and leaving enough to ensure that living will still be there tomorrow. Harvest caps, high license fees and fishing regulations have helped to fix the overfishing problems of the past and better control the oysters lost to harvest, but these measures have also squeezed out many watermen. Necessary rigging equipment and required licenses put a steep financial burden in the path of hopeful watermen, and aren’t the only barriers. Watermen license waitlists are measured in years; on Deal Island and elsewhere in the sound, gaining a license usually means receiving it as an inheritance. Walters looks out over the waters as he talks, steering with a practiced hand and keeping one eye on his screen readouts. Technology has revolutionized some aspects of working the water, like the introduction of the power dredge, but Walters still uses a few of the old watermen tricks. Flocks of ducks tend to swoop down and feed on oyster beds, leading the watermen to a likely spot. 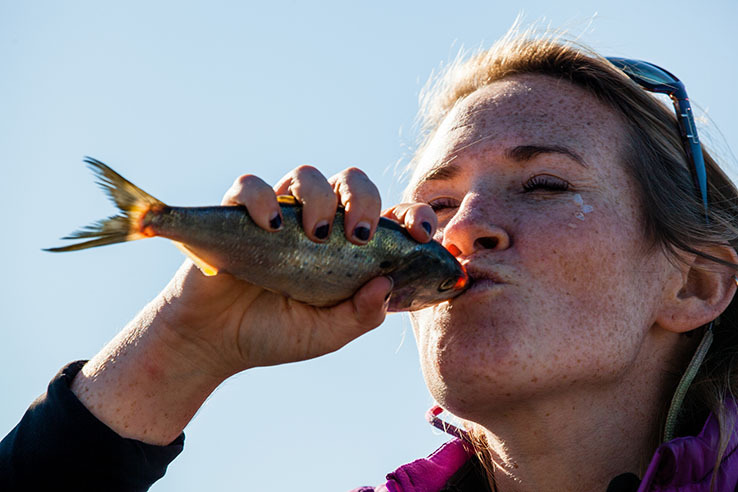 If you know what you’re looking for, the wildlife and the water can be just as effective as a depth finder. “I think [aquaculture is] going to be the future of the oysters, because there will be very few watermen left to do this job,” muses Walters. Aquaculture involves planting and farming oysters, and returned shells rebuild the reefs as harvests take place. Oyster recovery programs, aquaculture and dedicated sanctuaries are helping oysters to rebound in the Chesapeake area. 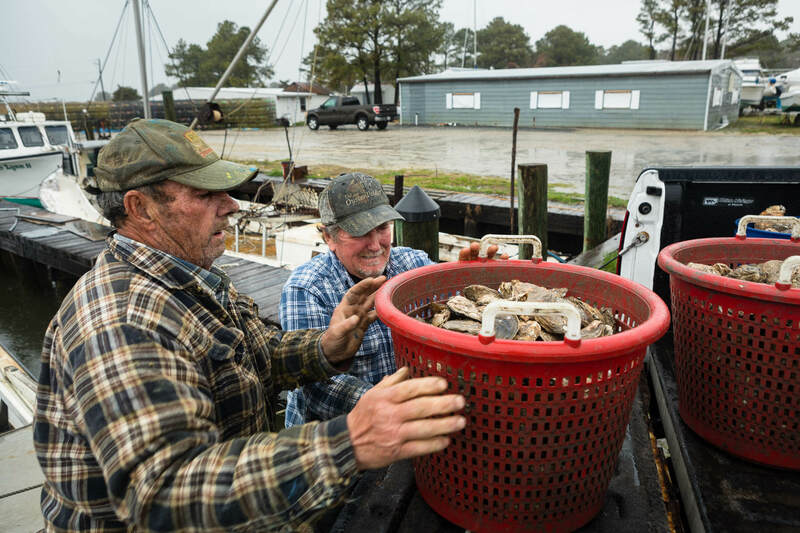 Most watermen are in favor of the sanctuaries and are even contracted short term by the Maryland Department of Natural Resources to help reseed oyster beds, but still they worry that their livelihood will not outlive the wait for trickle-down oysters from the sanctuaries. The replacement of shells is one of the main sticking points. 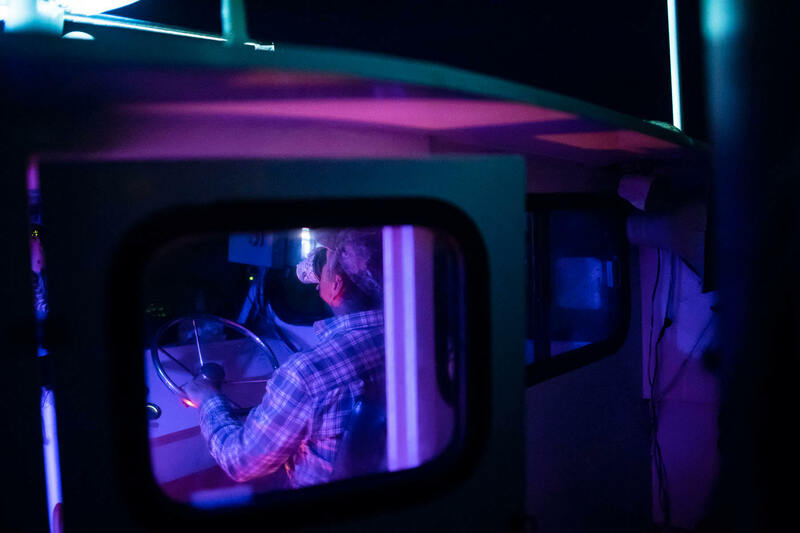 Oyster sanctuaries come up again in the little office of Scotts Cove Marina in the late morning, where a group of watermen sits discussing what will become of their way of life. “Sanctuaries should be on a rotating basis,” says one waterman, voicing a controversial opinion about effective sanctuary management. The watermen argue that if sanctuaries open to the commercial fishery for a few weeks every three to five years, older oysters—both larger are more disease-prone—can be harvested, allowing room for the young to grow and helping to clean sediment off all the oysters as they are dredged. Watermen are seeing both sediment and disease take a toll on the oyster beds. The open wild harvest areas have been flattened out over the years, which makes the oysters incredibly vulnerable to sediment pollution. According to Walters, dredging has revolutionized the way watermen work the oyster beds. The dredge allows them to push the oysters into a pile on the bottom and dredge on a slant along the edge. Sediment, which can suffocate Chesapeake oysters, is shaken off as the dredge comes up, and the little oysters are thrown back to rebuild the new pile. National Oceanic and Atmospheric Administration scientists feel the sanctuaries are fine to stay closed for the same reason the watermen believe the dredge has been helpful for the wild beds: height. Reefs in the sanctuaries are more three-dimensional, so they are more resilient to sediment buildup than the wild-harvest beds. The question remains whether the scientific and traditional expertise can come together to manage oysters for the future. Crabs are a lively topic with Walters and fellow waterman Bruce Whitelock. Both men used to harvest hard-shelled crabs, but the season became too difficult to complete as they aged and the regulations tightened. Hard crabbing requires setting crab pots, which on Deal Island are still maintained by hand. Pollution in the Bay hasn’t made life any easier. 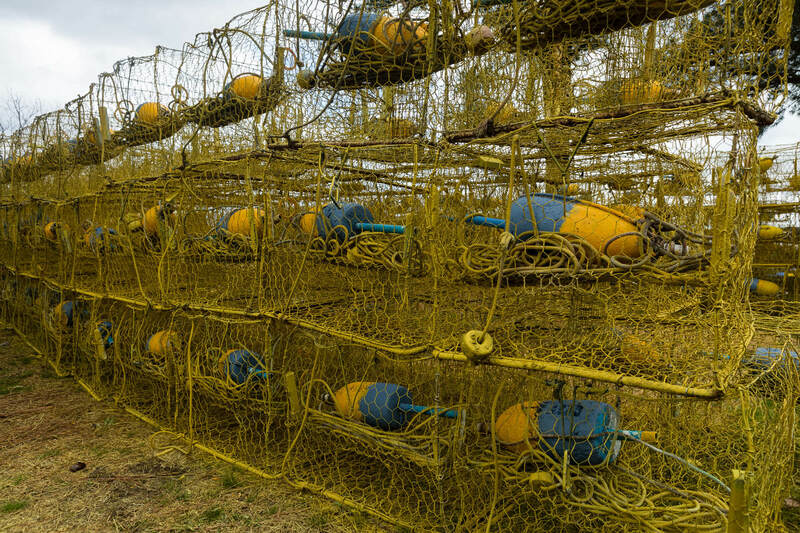 Unlike earlier days, when crab pots could be constructed and used readily, pots these days are coated in special paint to help them hold up in waters that eat away at the wires. Small zincs, sacrificial pieces of metal, are placed in each one. Zinc is quicker to give up its electrons than the pot itself, with the idea that the pot will stand up longer against corrosion. “I remember when you never needed to use a zinc,” muses Whitelock, causing Walters to come back with an immediate, “you damn well better use them now.” Zinc prices have more than doubled since they’ve been needed in crab pots, further pushing the watermen out of hard crabbing. 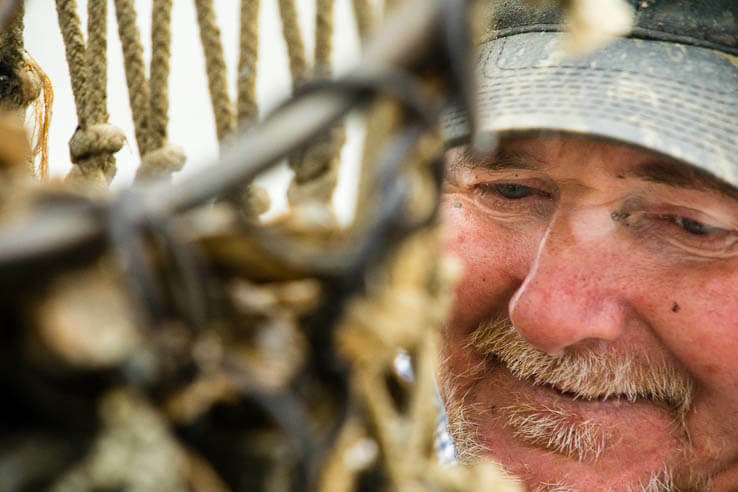 The transition between seasons, the shorter hard crabbing season, the lack of help as the waterman trade declined and the maintenance demanded by his wooden boat have left Walters little time for hard crabbing. With the optimism and trust in cycles displayed by many watermen, Walters laid his hard crab pots up on the land to await better seasons. Years passed. Like the skipjacks lost to the marsh mud as they lay waiting for the oyster boom, Walters’ crab pots rusted and rotted away. The Tangier Sound islands, made mostly of sand, are sifting and changing as the years pass. As Deal Island changes, the people who live there are working to save their lives in memories, stories and their new museum. The watermen are looking at how to use their considerable knowledge of the waters for the changes facing their industry. Watermen life is changing; Deal Island is changing; and everyone is looking to the future.